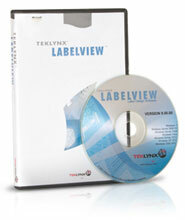 Teklynx LABELVIEW - Gold Edition with Parallel hardware key. Runtime Print Only. Configurations for discontinued versions of Teklynx LabelView software. Additional Information: The Run -Time version must be used in conjunction with a Full Design version. Run-Time is limited to only opening and printing labels; you cannot add, move, delete or edit fields on a label. The Teklynx LV8GLDRP is also known as Teklynx-Graftek	TEK-LV8GLDRP	.